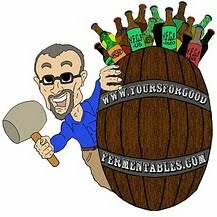 Boulder, CO • February 7, 2013—With the 113th Congress underway, the Brewers Association (BA)—the not-for-profit trade group representing the majority of U.S. brewing companies—announced the reintroduction of H.R. 494, the Small Brewer Reinvestment and Expanding Workforce Act (Small BREW Act) in the House of Representatives. The bipartisan legislation, which was reintroduced by Representatives Jim Gerlach (R-Pa.) and Richard E. Neal (D-Mass. ), seeks to re-calibrate the federal beer excise tax that small brewers pay on every barrel of beer they produce. "Small brewers are small business owners and this bipartisan legislation would allow them to remain competitive, protect existing jobs and create new employment opportunities in communities throughout Pennsylvania and the country,” said Congressman Jim Gerlach, co-chairman of the House Small Brewers Caucus. “More than 100 small and craft brewers in Pennsylvania provide jobs, produce world-class products and are active community partners. I look forward to working with my colleagues in the House on passing this legislation and providing a boost to all small brewers." "I have been a consistent and enthusiastic supporter of America's craft brewers for many years. These innovative small businesses employ thousands of people across the country. They are independent entrepreneurs who are passionate about the product they make. In western Massachusetts alone, there are scores of proprietors creating great brews with locally produced ingredients,” said Congressman Richard E. Neal. “As a senior member of the Ways and Means Committee, I am pleased to introduce this bipartisan legislation that will help the growing small brewing industry." Nationally, small and independent brewers employ over 100,000 full- and part-time employees and generate more than $3 billion in wages and benefits and pay more than $2.3 billion in business, personal and consumption taxes. Consumer demand for the bold and innovative beers brewed by America's small brewers has grown significantly in recent years. However, because of differences in economies of scale, small brewers have higher costs for production, raw materials, packaging and market entry compared to larger, well-established multi-national competitors. Furthermore, efforts to increase state taxes for all brewers continue to threaten jobs and their economic stability. Adjusting the tax rate would provide small brewers with an additional $60 million per year that would be used to support significant long-term investments in tanks and other equipment and create jobs by growing their businesses on a regional or national scale. Congress has not re-calibrated the excise tax on small brewers since 1976. At that time, there were about 30 small brewers. Today, there are over 2,000. —Read original press release: here. Note that this a re-introduction of the bill. Over several years, in similar form, the SMALL Brew Act has failed to receive full House approval. Considering the current debt and deficit reduction attention of Congress, I would worry that it will face a struggle to pass again this year. Write your Congress-person. The Brewers Association, a non-profit trade association, represents the majority of brewing companies (which it estimates at 2,126 this year) in the United States. Those breweries, together, however, account for only 5.7% of beer sold annually in the U.S. by volume, and 9.1% by dollars (2011 figures). 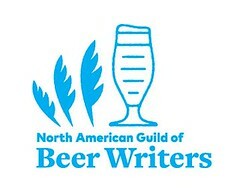 The Association defines a craft brewery, i.e., small, as: Producing 6 million barrels of beer or less per year, with less than 25% of the brewery owned or controlled by an alcoholic beverage industry member who is not themselves a craft brewer, and whose flagship beer is all malt, or has at least 50% of its volume in either all malt beers or in beers which use adjuncts to enhance rather than lighten flavor. Thus a 'craft' brewery can be as small as a so-called nano-brewery producing a few hundred barrels of beer a year or as large as Boston Beer Company, maker of Sam Adams, producing in excess of 2 million barrels of beer a year. The BA excludes breweries such as Yuengling from the category because, although independent and family-owned, it brews with a surfeit of adjuncts, specifically corn. Read more here.